Congratulations to our Client STAMBA for their feature on Asbury Park Press. Itâ€™s ideal to get all the nutrients we need from the foods we eat, but for most of us, itâ€™s not practical. STAMBA delivers whatâ€™s missing from our diets. 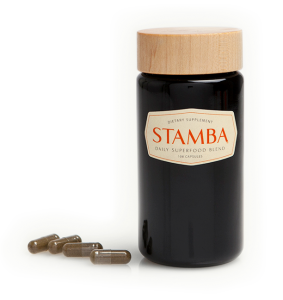 Created by Asa Siegel, the STAMBA daily superfood blend is packed with some of natureâ€™s most important nutrients that work to boost your energy levels, support your immune system, and keep your body at its best. Many vitamins and supplements are synthetic, but not STAMBA. Itâ€™s derived from organic and natural ingredients, including acai berries, maca root, raw cacao and mangosteen . The ingredients work in concert with one another — freshwater greens, plant enzymes and medicinal mushrooms can bolster immune strength, while adaptogenic roots and rainforest berries can help sustain energy and fuel recovery after physical exertion. SuperfoodsÂ have been touted worldwide for their healing powers and renewing capabilities. Asa has made them convenient and accessible, without compromising quality. The capsules are a fast and easy supplement to add to your wellness routine. Find out more at StambaSuperfoods.com.